Why Have You Stopped Teaching Pole Tricks?? In July 2017 Purity is about to become an actual ‘Pole Dancing’ school, by that I mean I am waving good bye to the pole tricks side of things, and focusing on the dance side more. I feel people can hide behind tricks, and ignore the dance, which is strange seeing as it is called Pole Dancing. This makes me laugh! Most people can’t keep up with the ‘new’ tricks! I don’t even try, never have done! I have my own way, perhaps because I am an old school poler, I love the old school tricks. Trick wise, I think you can’t beat a beautiful Scorpio or an Extended Butterfly. I have spoken to some of my old instructor friends during the recent years, who started teaching around the same time I did, they stopped years ago when the tricks went crazy, they said “I don’t know how you keep going through all the madness that pole has turned into“. But I can’t understand why they stopped for that reason, I got into pole because I love dancing, the tricks were always a side line. from life. Do I love the doing/teaching pole tricks enough to put my body through it anymore? The answer is no, (not sadly no, just no). I am happy about my decision. Life is too short to do things we are not happy with. Don’t get me wrong, you may still see pictures cropping up on Instagram of me doing pole tricks, I am not giving them up, I am just stopping teaching them. I still love pole, and don’t want to lose my passion for it. 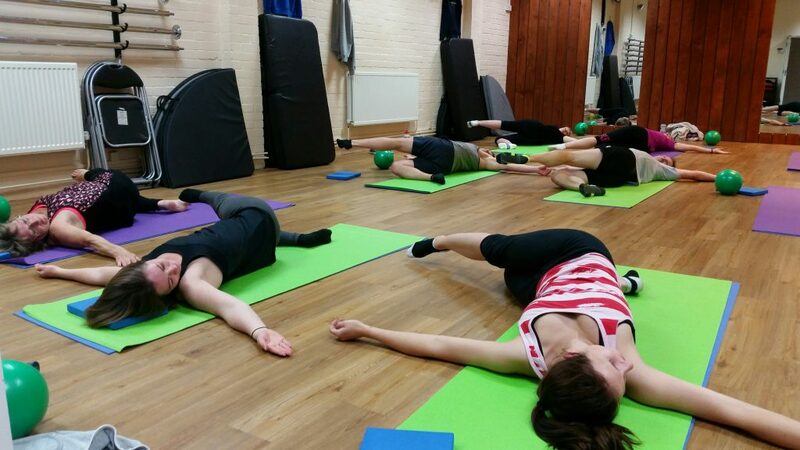 This year I have been training hard in a new area for me, (well newish), I am becoming a Level 3 Pilates teacher. I trained in Fitness Pilates in 2008, but I have decided to go sh*t or bust with it now! I feel that pole dancing is great for helping the mind and body in so many ways, but I would like to do more to help people. I think Pilates is a key for the body to stay fit and functional for life, and I want to bring that to more people. I want to thank all of the Purity Students, both past and present for all their support. I do hope you all continue your pole journey with Purity, so we can dance together for many years to come. Fitness Pilates will be starting at the Purity Studio in Reading, Berkshire on 25th September 2008. The class will run 10.30-11.30am on Thursday mornings. These classes are designed for Beginners to Intermediates and no more than 10 people in a class. A great side effect of Fitness Pilates is relaxation.